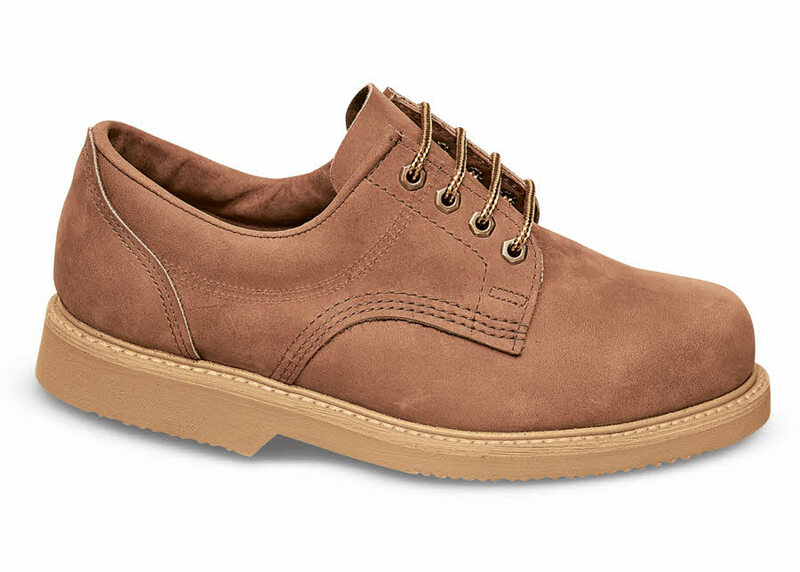 The wide Hitchcock work oxford of brown oiled leather is so good-looking it can double as an everyday casual. It has a half-inch thick foam cushion insole, all-around storm welt and padded collar. 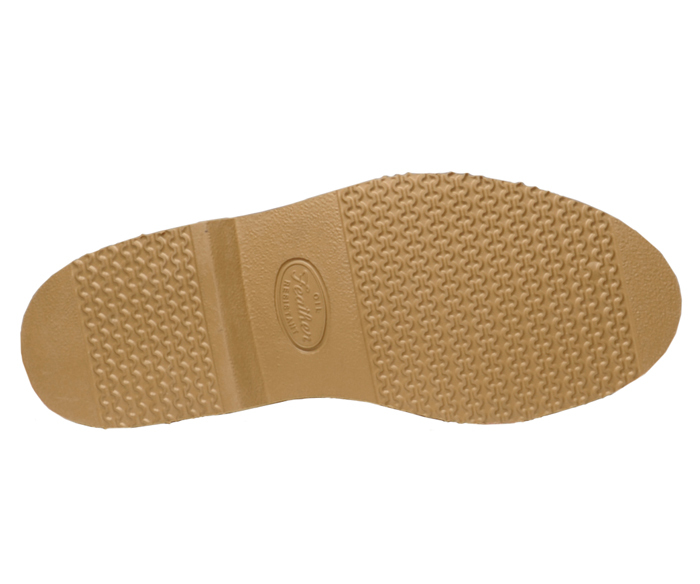 The outsole is ridged, oil-resistant crepe. Allegheny last. Made in U.S.A. Originally $149.95. Limited stock in men's 3E, 5E and 6E widths in sizes indicated.